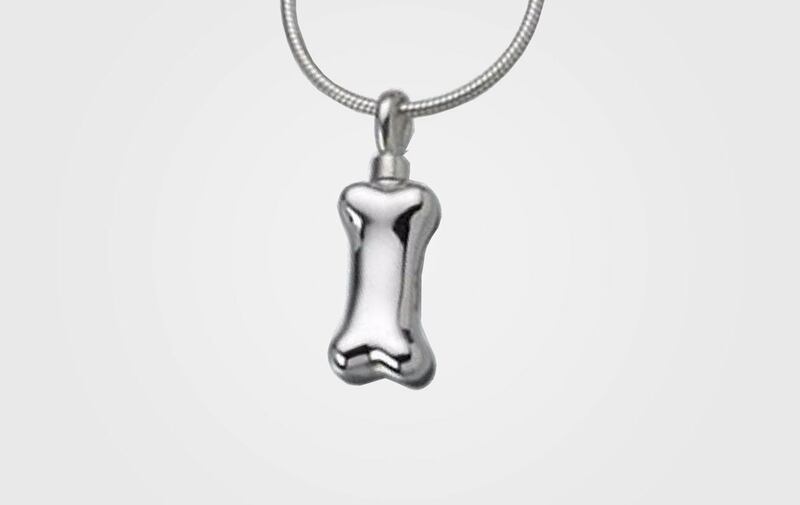 Our Sterling Silver Dog Bone Pendant is a cute way to remember that favorite dog. The bone measures ¾” tall and ¼” wide. A small amount of ash can be loaded into the back of the urn/pendant. A small funnel, filling and care instructions are included. Both sides can be engraved, but can accommodate no more than five characters on each side. There is an additional cost of $35 for engraving on side and $70 for both sides.